This comprehensive guide covers every aspect of accounting firmvaluation, from determining the circumstances in which theprocedure should be undertaken to compliance with standards forreporting valuation results. It provides a solid conceptual andtheoretical foundation for the analysis and appraisal of accountingpractices along with numerous practical applications andillustrations. The main body of the book is divided into four sections. The firstsection addresses the planning stages of the valuation, includingmotivations for conducting an appraisal, its purpose and objective,professional valuation standards, selecting a valuation approach,and data gathering. In the second section, specific accountingpractice valuation methods are discussed and illustrated. Theseinclude market-based, income-based, and asset-based methods. Thissection also examines the process of determining the overall valueof the business. 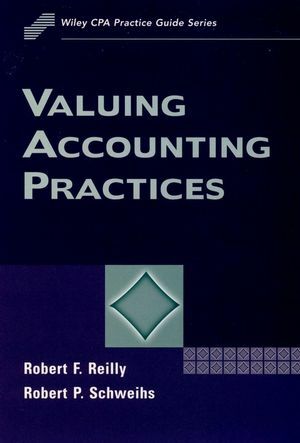 The third section of Valuing Accounting Practices focuses on thevaluation of fractional or partial interests in an accounting firm.A large part of this discussion centers on the identification andvaluation of discounts and premiums related to partial or minorityownership, with an emphasis on marketable versus nonmarketableinterest and discounts for lack of marketability. Topics includeempirical research, factors affecting marketability, considerationof transferability restrictions, and discounts and premiums forother nonsystematic factors. The fourth section defines standardsfor accounting practice valuation reports and provides acomprehensive sample report. Lastly, special practice valuationtopics are discussed. Supplemented with numerous checklists, quantitative examples,appendices, and bibliographies, this handbook is an indispensableresource for accountants and appraisers who value accountingpractices. It is an excellent guide for sole practitioners ormembers of small and medium-size accounting firms who need toconduct self-appraisals for merger negotiations, new firmformation, litigation, or any other reason. It is also an importantreference for divorce attorneys. ROBERT F. REILLY is Managing Director for Professional Services atWillamette Management Associates. A former partner and nationaldirector of the Deloitte & Touche Valuation Group, Mr. Reillyis widely recognized for both his professional achievements and hisintellectual contributions to the profession. He is a frequentcontributor to professional journals--including ManagementAccounting, the Journal of Pension Planning and Compliance, and theJournal of Property Tax Management--and he is a regular columnistfor the American Bankruptcy Institute Journal. Mr. Reilly iscoauthor (with Robert Schweihs and Shannon Pratt) of three previousbooks. ROBERT P. SCHWEIHS is Managing Director of Willamette ManagementAssociates. He was founder, national partner, and national directorof valuation services for Valuation Engineering Associates, abusiness unit of Deloitte & Touche LLP. A much sought afterspeaker and conductor of professional seminars, Mr. Schweihs isalso a prolific author. He has published numerous articles inprofessional journals and coauthored three books (with RobertReilly and Shannon Pratt). Reasons to Conduct an Accounting Practice Valuation. Professional Standards for Accounting Practice Valuations. Purpose and Objective of the Accounting Practice Appraisal. Basic Accounting Practice Valuation Approaches. Data Gathering and Due Diligence for an Accounting PracticeAppraisal. Valuation of Fractional Business Interests. Identification and Quantification of Valuation Discounts andPremiums. Accounting Practice Valuation Reporting Standards. Example of an Accounting Practice Valuation.